Although molasses is a sweetener that has been around for well over a thousand years, many people do not realize the history, usefulness, and healthfulness of this thick, viscous syrup. In fact, the only thing that most people know about molasses is that it moves very slowly hence the popular phrase “slow as molasses.” Through this post, we want to give molasses the credit that it deserves by providing some key information and answering some customer frequently asked questions specifically for our Golden Barrel Supreme Baking Molasses and Golden Barrel Blackstrap Molasses. What exactly is molasses anyway? By definition, molasses is the thick dark syrup that is produced by boiling down juice from sugar cane or sugar beets especially during sugar refining. In other words, it is what is left over after the sugar crystals (table sugar) has been removed. What is Golden Barrel Molasses made from? All of our molasses is made from sugar cane. Sometimes when molasses is extracted, a chemical called sulfur dioxide is used as a processing aid and preservative. It is used mainly when young or unripened stocks of sugar cane are used. Unsulfured molasses is made with mature sugar cane stocks without any sulfur dioxide or any other processing aids. Unsulfured molasses is considered more desirable since it is more natural and has a cleaner and purer taste. Also, some people are sensitive to the sulfur dioxide chemical. All of our Golden Barrel Supreme Baking Molasses and Blackstrap Molasses is 100% unsulfured. 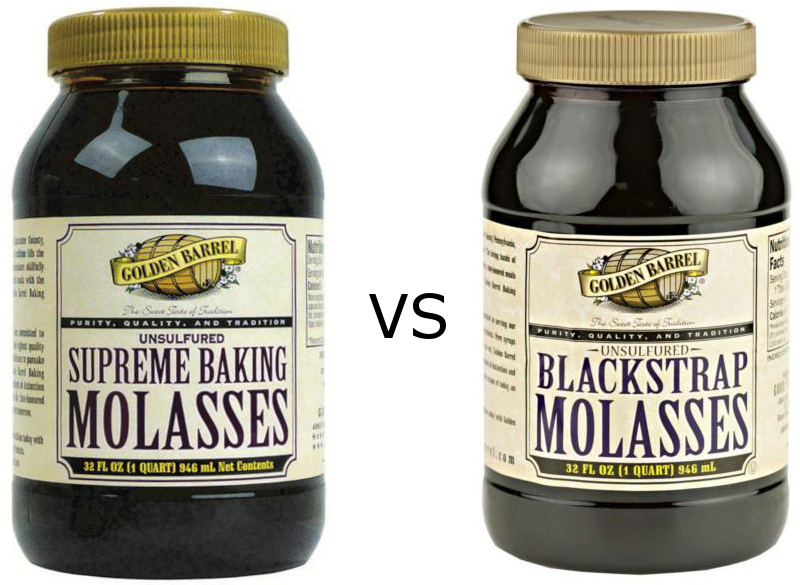 What is the difference between Golden Barrel Supreme Baking Molasses and Golden Barrel Blackstrap Molasses? The molasses is then boiled again until most of the sugar is removed resulting in a dark, thick and robust tasting molasses that is used to make Blackstrap Molasses. Blackstrap molasses is the most healthful molasses as most of the sugar has been processed out but the nutrients and minerals all still remain. Both can be used for baking but will produce differing tastes in the final product. Generally, when a recipe calls for Molasses, it is referring to something like Supreme Baking Molasses. Blackstrap Molasses is used for recipes where a stronger flavor is desired such as baked beans. 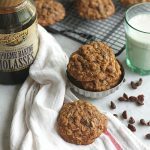 Can I use molasses as a substitute for sugar? Molasses can be substituted for sugar and other sweeteners in recipes. You will need to use 1 1/3 cups of Golden Barrel Supreme Baking Molasses plus 1/2 teaspoon of baking soda for every cup of sugar used. You will also need to cut back the amount of liquid used in the recipe by 1/3 cup per cup of sugar substituted so that the balance of moisture in the recipe is equal as molasses will add extra moisture. We recommend experimenting with the substitution and not cutting back the full amount of sugar right away as molasses can change the taste of some recipes. I am out of brown sugar, can I make my own using molasses? 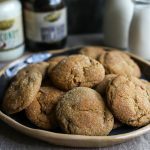 If a recipe is calling for brown sugar, you can make your own by simply using 2 tablespoons of Golden Barrel Supreme Baking Molasses per cup of white sugar to replace light brown sugar and 4 tablespoons per cup of white sugar to replace dark brown sugar. In most instances, you can add the molasses and sugar straight into the recipe to be mixed with the other ingredients. Does your molasses need to be refrigerated? Our molasses in retail sizes has a 4 year shelf and can be stored in a cool, dry place such as a regular cupboard or pantry. Refrigeration is not required. What are some of the minerals found in molasses? Molasses is naturally loaded with minerals. Blackstrap Molasses contains more minerals than Supreme Baking Molasses because it is more concentrated as more sugar has been removed. Some of the minerals found in molasses are potassium, calcium, iron, magnesium as well as trace amounts of manganese, copper, and zinc. What are the health benefits of taking Blackstrap Molasses? There are many health benefits associated with taking blackstrap molasses as a health supplement. This is due to the numerous amount of minerals as mentioned above. We suggest doing your own Google research on the health benefits of molasses. Here is an example of some of the benefits from healthdiaries.com. 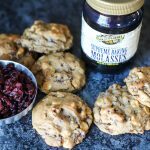 What are the ingredients in molasses? There is only one ingredient in any of our molasses products: 100% sugar cane molasses. It is all natural and has no additives or preservatives. Isn’t Blackstrap Molasses only for animals? Absolutely not! Despite what some sources may say on the internet, blackstrap molasses is frequently used for many human purposes including health supplementation as well as in baking. In fact, many large food companies use blackstrap molasses in many of the products that you may eat on a regular basis. Both Golden Barrel Molasses’ are made in retail sizes of 16 oz. (pint), 32 oz. (quart), and 128 oz. (gallon). We also sell molasses in bulk sizes such as pails, drums, totes, and tank loads. As you can see, molasses offers a lot more than the connotation of just being “slow”. Hopefully, this post helped give a better understanding of the importance and usefulness of our Golden Barrel Molasses products. If you have any further questions, feel free to ask us in the comments section. Is your molasses made from sugarcane grown in the U.S.? The sugarcane is grown either in the USA or from one of the 40 different countries as permitted by the USDA Sugar Quota Program. All the processing from sugarcane into molasses is done in the USA. Hi, what grades do you give either of your molasses? A or B? 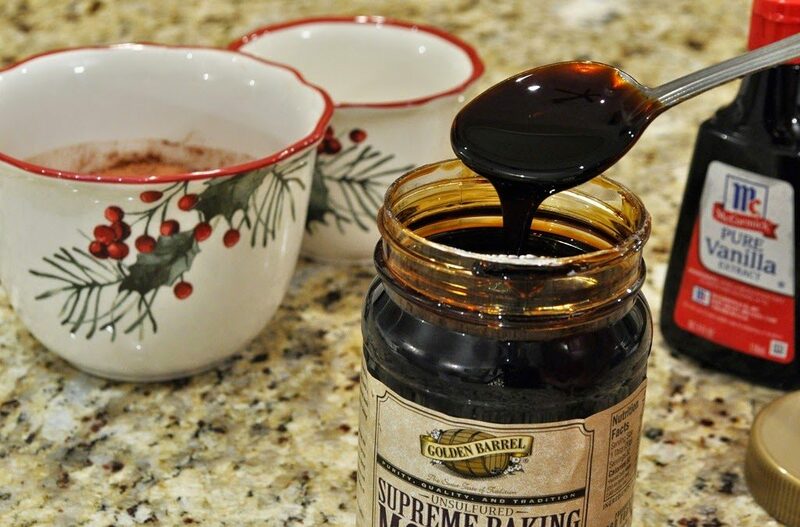 Our Supreme Baking Molasses would meet the qualifications of grade A molasses. Our Blackstrap Molasses would fall in more of the grade C category based on the Total Sugar and Ash content. My husband was reminiscing recently about how his mom used to put butter on bread then put really thick molasses on top of it and that used to be a treat for them when he was little. He said it was his favorite treat. He recently bought some in the grocery store but he said it wasn't the same. It was thinner and lighter than he recalls and didn't taste the same. I think it has the sulfer in it though so I'm not sure if that is why but he said she use to get in mason jars from the local farmers market. I'd like to get some for him for his Christmas stocking what would you recommend for this purpose supreme baking or your Blackstrap? Hi, that is a great idea as a Christmas present. The hard part is getting the exact "molasses" that he was used to. The problem is that several people in the older days and in certain parts of the country called main different things "molasses." We have sorghum syrup and table syrups that many people often also refer to as molasses even though they are not actually molasses. My guess is that if was a true sugar cane molasses, that it was most likely was closer to Supreme Baking Molasses since it is much sweeter. But it definitely could have been more of a table syrup such as our Mrs. Schlorer's Turkey Golden Table Syrup which has been around for a long time. We actually do often hear stories of people using that table syrup on bread when they were growing up. Of course if your husband described the molasses as being a strong flavor, then it could have been blackstrap but that would have to have been an acquired taste. I hope this info wasn't too confusing but it may be a challenge to get it exactly what he was used to. Perhaps you could buy a few different items for Christmas and see which one he thinks was the closest. Our molasses does naturally contain copper and our nutritional information is based on information provided to us from our suppliers. Unfortunately, copper is not something that we or our suppliers frequently test for. The best that I can provide is general information provided by the USDA for molasses which is based on averages. Does the blackstrap molasses come in a glass bottle? All of our products come in plastic containers. We used glass containers for several years, however glass proved to be inefficient and ultimately more of a food safety concern. What is the calcium content of your blackstrap molasses? Others on the market have a 4-17% calcium content. I'm used to buying Silver Forest Blackstrap Molasses with 20% of the DV for calcium in a tablespoon. Does yours match that? I'm a vegan and use blackstrap as an additional calcium source. Thanks! Hi, Our blackstrap molasses also lists calcium at 20% DV per tablespoon on our label. It should be very similar to the Silver Forest Blackstrap Molasses. Is your blackstrap molasses organic? Hi Andy, that is another frequently asked question. Our blackstrap molasses is not certified organic. We do offer an organic blackstrap molasses in bulk sizes but not in retail at this time. You said you offered organic blackstrap molasses in bulk sizes, is it the 5 gallons pail size?. I didn’t see it mention as organic. I follow the link to Zook molasses, but the website info is limited. The Zook Organic Molasses is animal grade. Yes that website is very limited but we should be coming out with a new website for Zook Molasses Company soon. We do offer Golden Barrel Organic Molasses as well for human grade. It is available in 5 gallon pails. Please call us at 1-800-327-4406 if you’re interested in pricing and minimum order quantities. Thank you Mitch for your fast response. I hope your business would allow customers to buy 1 or 2 of 5 gallons bulk at a time like Costco. What's the difference between the two end products? The main difference is that organic molasses is certified by an agency such as QAI that audits the entire paper trail from seed to consumer. They ensure that all the standards classifying it as organic are met. That would include such things as documentation from the grower that no pesticides or chemicals were used, that it is non-GMO, and that no additives that are not on an approved for organic use list are used. Most likely regular molasses may meet many of the same requirements but it is not as closely monitored as organic standards. That last part is what I was wondering. Thanks for being so responsive! Those are all excellent questions. Unfortunately, they really can only be answered by a doctor or health professional. The best that I can do is tell you that our blackstrap molasses contains numerous minerals like potassium, calcium, iron, magnesium, etc. Whether any of those minerals aid in the questions that you asked above, we cannot say with certainty. We recommend asking a doctor or doing some online research to come to your own conclusion. I have the baking molasses.it only list calcium and iron. Does it contain the other minerals like black strap and what percent of them? Is your product "Blackstrap Molasses" made from non-GMO raw material ? Hello, yes all of our molasses is sourced from non-GMO sugar cane. Is your molasses certified Kosher? Yes all of our products including our molasses is certified Kosher by the OU. Due to the nature of your product, I know that it is gluten-free. Do you process/package in a facility that is gluten-free? Hi, yes all of our molasses is naturally gluten free. We do process products that contain gluten in other areas of the plant. However, it is completely segregated from the molasses production and used only on designated equipment. The possibility of cross contamination is very low. I hope this helps answer your question. Based on a 1 tbsp (20 g) serving size, Supreme Baking Molasses has 15 mg (approx 1% DV) and Blackstrap Molasses has 25 mg (also approx. 1% DV) for sodium. I purchased a gallon of baking molasses by mistake, I meant to grab the blackstrap for the nutritional value. The labels were similar to this old lady’s eyes. The problem is, I live 14 hours away from the store, as I was on vacation! So, I can’t trade….is there a chart that shows the different quantities of minerals between the two? Sorry to hear about the honest mistake. I will be emailing you shortly. What is a safe amount of black strap molasses to take for a diabetic. I take 2 tablespoons aday. I am not sure that I could say what would be the safe amount to take for a diabetic. Most likely, you may have to cut back in a carbohydrate of another source to balance it out. However, I would recommend contacting a doctor or nutritionist first. Yes, if you dont mind the taste, then taking it straight is perfectly fine. We purchased a few gallons of Blackstrap Molasses a couple months ago. They expiration date on them is 2020, and we stored them in our cupboard/pantry. However, each one has built of pressure whether opened or unopened. It developed a fermented smell over time as well. What is the reason for this, and is there any way to salvage it? Hi Jolene, that shouldnt happen and I wouldn’t recommend using it. Please send an email to me at MHertzler@goldenbarrel.com with your address and I will have a couple replacements sent to you. Hi iw ould like to purchase about 7,000 metric tonnes a month of molasses for export. What this your price to Amesterdam, Netherlands. I would like to know specificly what is the difference in Feed Grade blackstrap molasses and food grade blackstrap molasses. Besides the cost, as I can get a gollon of feed grade for about 4 bucks or a small jar maybe 16 oz of food grade at the grocery store for about 4 bucks. I use it in my dogs food and was curious of the difference. That’s a good question. The difference usually lies in how it was processed. Human grade is typically made to a standard solids level, pasteurized, and run through a filter to remove any foreign material. Feed grade is usually made to a lower solids level and may or not be pasteurized or filtered. Those are the main differences. Let me know if you have any other questions. I just received a jar of baking molasses. I used it to sweeten my coffee instead of blackstrap and am pleasantly sipping my coffee with a smile on my face. You folks do good molasses. I am a home coffee roaster and a bit of a coffee snob but I am hypoglycemic and a little sugar in the morning keeps me even with my glucose monitor. Molasses is a great compliment to my morning coffee and I really enjoy your product. I personally dislike sweets and candies, but the depth of flavor of molasses is hard to walk away from. Thank you for your great stuff. I see it will be in my coffee for a very long time. I spread it on my bagel at night too. A great snack! It helps me sleep. Hey that’s awesome. Very glad that are you enjoying our molasses. What is the complete mineral content of your black strap molasses? What are the differences between your non-organic and your “organic” blackstrap molasses? Hi, the main difference is that the one is certified organic so you can be assured that it was grown and processed according to organic standards. The non-organic may be produced similarly but it is obviously not verified via a certification organization. My family has been making rum since 1603. Back then it was sold in barrels to the British Navy and later (along with George Washington’s and others) it was supplied to the Revolutionary forces, especially the Green Mountain Boys as my ancestor was an original member. I still have the original recipe and am thinking of continuing the tradition (more sterile of course).. Can I as an individual purchase bulk molasses from you in 55 gal or larger and if so, could you let me know what cost could run me for your product. I of course would need the baking variety as I’ll need the sugar for fermentation before distilling. I was purchasing Plantation Blackstrap Molasses from Amazon, but for some reason I can’t find the 3 packs I used to get (31 Oz). I am thinking of buying your brand instead, but I liked that the Plantation Molasses came in a glass jar, thus no BPA. I purchased it a lot and never had breakage during shipment. Are your plastic containers BPA free? The 32 oz size AND the Gallon size? It must be a significant concern, because many manufacturers are making BPA free containers and products now. I hate to think that it could be absorbed into the product. Yes, all of our containers are BPA free. We used to use glass containers but it proved to be more of a safety hazard when breakage occurs. The plastic containers are food grade and FDA approved. Let me know if you have any other questions. Do you ship to Ghana, West Africa? I am interested in ordering a 5 gallon pail of organic unsulphured BSM but I am in Ghana, who do I get it here? Hi, Unfortunately, at this time we only ship to the USA and Canada. Which type of molases is best on hotcakes? Typically, most people use syrup on hotcakes. However, if you want to use actual molasses then I would recommend using Supreme Baking Molasses as Blackstrap will be much too strong of a taste. I followed the directions exactly and used my Kitchen Aid stand Mixer to add the pure cane white freshly purchased sugar to the mixing bowl and drizzled on the Golden Barrel Blackstrap Molasses. Then I turned the KA mixer on to speed 1 to mix and then eventually raised the speed as instructed, but the end result was not fluffy homemade dark sugar at all. The end result was a soupy loose mixture which no matter how much I beat it with the Kitchen Aid stand mixture never turned into fluffy moist fragrant black strap molasses brown sugar. In view of the above I was forced to trash the entire unusable loose so I had to trash the entire loose unusable mixture which was not only a disappointment, but a complete waste of expensive ingredients, time and money, and having to wash everything associated with this epic Golden Barrel blackstrap molasses food failure. I am so disappointed that this blackstrap molasses produced in Lancaster County, Pennsylvania has no contact telephone #, but just an address to correspond in writing on the label, which I did not appreciate at all. Preference in a situation like this is to immediately call customer service of the molasses product and speak directly with a customer service representative, since their Golden Barrel blackstrap molasses whipped with brand new pure can sugar did not product the fragrant fluffy moist dark molasses brown sugar I was expecting. If anyone can please reply and shed some light as to why this occurred I would be most grateful, and many thanks in advance! Sorry to hear of your troubles making brown sugar. I wish I had a good reason as to why it did not turn out well for you. Perhaps, we can offer some thoughts. There are many different granulation of sugars and if using a finer granulation, then it is possible that more molasses could be needed to coat the surface area of the sugar. 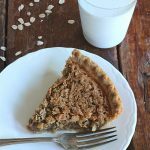 I am not sure if you tried adding more molasses or not but some of these recipes do take a little adjusting to get right sometimes. I can tell you that we make a lot of brown sugar with our molasses so it does work. Also, usually when people make brown sugar, they use our Supreme Baking Molasses rather than Blackstrap Molasses. I am not certain if that could have caused any of the issues your were experiencing. I hope that this helps. Hi, most of the molasses which I have bought (Plantation, Grandma’s, Melrose) I found it to be leaking when it arrived due to the properties of Molasses. Does your Molasses leak out of a sealed bottle? Hi, we ship a lot of our bottles via UPS. Although it does happen from time to time, we rarely get complaints for leaking. Hope that helps.